Owing rental property has always been something that Americans have done. Even my grandfather did back in the day. But the real estate boom of the early 2000’s made owning rental real estate more common. You could even argue that the aftermath of the real estate bust has lead to even more people owning rental property. For those looking to get into rental real estate, there are many options. Below I present the various options as well as some advantages and disadvantages to each. This is the most common type of rental real estate. You buy a house or apartment building and rent it out. But, it rarely is as easy as this. You have to get it ready for rent, find prospective renters, and then collect the monthly rent and respond to any needs that the renter has with the rental itself. Of course, you could hire a property management firm to handle it for you, but they will take a cut of your profit. The advantages of getting into rental real estate this way are big. You can earn a monthly income check when you deduct the monthly mortgage and bills from the rent check you receive. Over time, you also get to take part in the appreciation of the house itself. Of course, with great reward comes great risk. Owning rental property can be a nightmare. When I was renting out my house, my attorney told me to be prepared for the worst and be happy if it doesn’t happen. So far, I have been lucky. I have a great renter that doesn’t cause me any headaches. But this is not always the case. Next, getting into rental real estate can be tough for some. 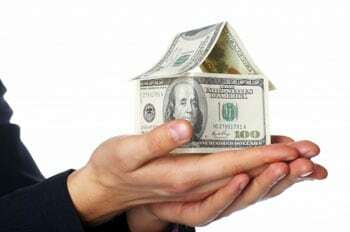 Many lenders require you to come up with 20-25% down payment. This is a large sum of money that many cannot afford. You also have to keep detailed tax records for the rental as well. In all, it can be a lot of work and a major hassle that isn’t right for everyone. REITs are real estate investment trusts. You can invest in these either through stock, mutual funds or exchange traded funds (ETFs). While the benefits of owning rental real estate in this manner include lower barrier for entry (meaning you don’t need a lot of money to buy a few shares, there are still disadvantages. But before I get to the disadvantage, understand that not only will you benefit in share appreciation of the stock/mutual fund/ETF itself, you will also earn quarterly dividends. So, for no work you get to take part in earning an income from this method. Now the disadvantages. First, the money you earn from dividends and/or share appreciation will rarely, if ever, reach the levels of actually owning the property itself. Furthermore, with REITs, you aren’t investing in homes and apartment buildings for residential use. You are investing in retail complexes. Think strip malls, malls and office spaces. This is a totally different beast than residential real estate. You really have to understand commercial real estate to make smart decisions with these investments. Additionally, you need to know where these building are that the investment owns. If it is not in your geographical location, how do you know how well the market is? As the old saying goes, when it comes to real estate, it’s all about location, location, location. With the recent bust of housing prices, there are companies out there that are buying up single family homes and apartment buildings and allowing you as an investor to get an ownership stake. As of this writing there are two ways of doing this. The first is with a firm that actually allows you to be a part owner. The downside to this is that there are strict rules as to who can even invest this way. For instance, you need to have a liquid net worth of $2 million. That disqualifies most right off of the bat. The next option is to own similar companies that currently trade on the stock market. You can buy shares of a few companies that buy residential real estate and then rent out the homes. The advantage to this is again, you avoid the day-to-day hassles of actually owning the properties yourself. But there are a few downsides. First, these companies buy houses all over the country. This is both good and bad. If housing is down in one area, hopefully it is up in another, helping to limit potential losses. But again, real estate is location dependent so it would be wise to know where in the country these companies are buying. Next, you aren’t going to get to take part in a nice dividend, at least not yet. Because housing prices are still historically low and these companies are trying to beef up their portfolio, the income they are generating from rentals isn’t being passed down to shareholders. Instead, they are plowing that money back in to the business to buy more and more properties. The final downside is upkeep and maintenance. The one investment owns over 5,800 homes as of this writing. That is a lot of maintenance and costs to keep up the houses and to fix things if they break. And if these houses are spread out around the country, it will be harder for the investment to get preferred pricing by using one maintenance crew. As a result, this new investment is a risk that bears caution. Overall, if you are interested in owning rental property, you have a few options. You just have to sit down and take the time to effectively weigh the advantages and disadvantages of each to find what works best for you. In many cases, the REIT option is the way to go since it is primarily hands-off for you as the investor and you have professionals running the fund. But that doesn’t mean you will always see a positive return on your investment. Rental property is considered on of the safest ways to generate monthly income, but before that one has to take a risky decision of selecting property location. If your property is in good location with all the amenities nearby then it is easier to give it on a rent, on the other side if your property location is not convenient then you will not get rent which you were expecting. I agree but being a landlord isn’t for everyone. For those that don’t thing they are cut out to be landlords, the other options should be considered.